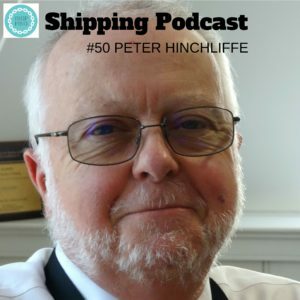 In this, the 50th episode of the Shipping Podcast, we meet Peter Hinchliffe, Secretary-General of the ICS. He is a former submarine mariner and joined the ICS 15 years ago and since 2010 he is the Secretary-General. ICS comprises of 36 National Shipowners’ Associations and represents around 80% of the world’s merchant tonnage. One of the principal roles is to co-ordinate the representation of the international maritime industry at the International Maritime Organization, the International Labour Organization, and at other intergovernmental fora which impact on the interests and well-being of international shipping. Peter shares what’s at the top of the agenda, how ICS cooperate with IMO, EU representing their members, which are the National Shipowners’ Associations around the shipping world. It’s an interesting interview, with a lot of environmental topics and also a short version on how to manage political issue for the entire world. Please enjoy and let the world know what you think! Shipping Podcast is on social media, but there is also a possibility to visit comment below.